In November of this year, Prince William and Duchess Catherine will make a Scandinavia visit including Sweden and Norway. That travel plan also depends on the medical condition of the Duchess expecting her third child. The Duchess has Hyperemesis Gravidarum disease which some pregrant women encounter and which affects the daily life in early pregnancy with severe nausea. It is expected that the Duchess will shake that disease off until November. All details about the Scandinavia tour will be shared with the press until the first week of November. 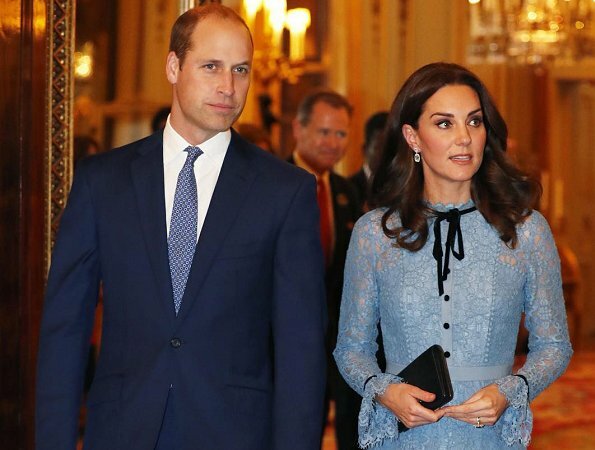 (Update: A planned Norway and Sweden state visit from the Duke and Duchess of Cambridge, has been shifted from November 2017 to January 2018. The Duke of Cambridge will visit Finland on Wednesday 29th and Thursday 30th November at the request of the FCO.). This sounds like fun! I hope Princess Madeleine goes home to Sweden for this visit. I'm sure she will. Madeleine has been saying for a long time that she would like a play date with their respective children -- they are around the same age. Also, Madeleine and Kate are each expecting their third child -- due around the same time. I didn't know that but what a nice way to firm up a play date! This should be a great trip and I hope it leads to collabrative events between CP pair & the Cambridges. Hopefully she can go and does not have to cancel due to her illness! Misleading article. Royal spokeswoman for the SRF already stated to the media that they will not visit sweden. This was something that a british royal repórter said. Papers here in Finland tell that W & C will visit Sweden on January? Also W will be coming here to Finland at the end of November.